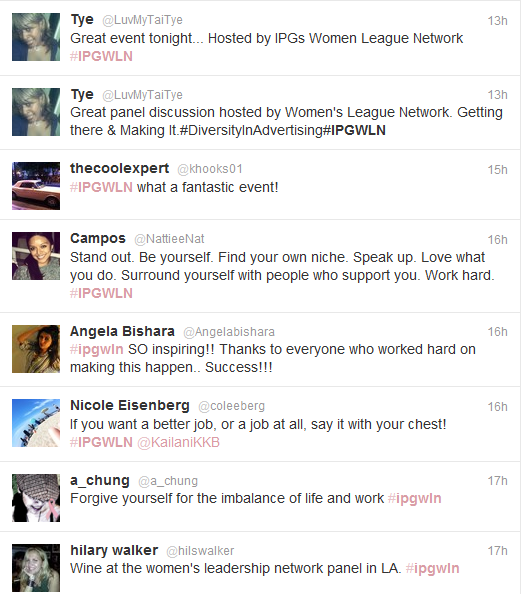 On March 21,2012, the WLN LA Chapter came together to host a panel of amazing women to talk about how to get promoted and succeeding in that role once you got promoted. The event had a 100+ turn out. The event addressed everything from how the panelists got their first promotion, to mentoring/networking techniques and how to always remember that you can step away from the work at the end of the day and know it will be there tomorrow. Panelists shared details of their career journeys and opened the floor up to Q&A for a very interactive discussion. It was an amazing event and we can’t wait to host another panel next year!